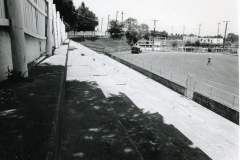 Situated on the west edge of the rodeo arena, the grandstand is J-shaped and is constructed of poured concrete. Rising 12 tiers and extending 302 feet, it sets into a hillside and is entered from the top, or street level. 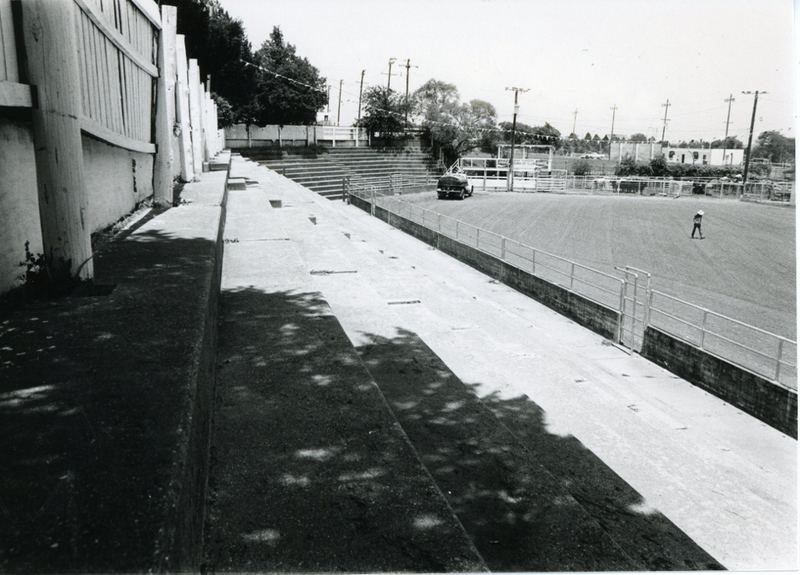 A steel pipe fence surrounding the arena and separating it from the grandstand is new, and a wood roof supported by heavy poles has been removed. These changes not withstanding, the essential integrity of the grandstands remains unimpeached. 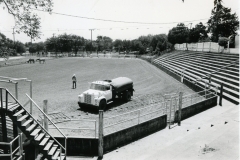 The rodeo arena and grandstands is significant because it reflects the willingness of the WPA to adapt its construction program to unique regional interests. Purcell had a large hinterland devoted to the range cattle industry where the “round-up” was an integral part of daily life and the “rodeo” a principal recreational activity. 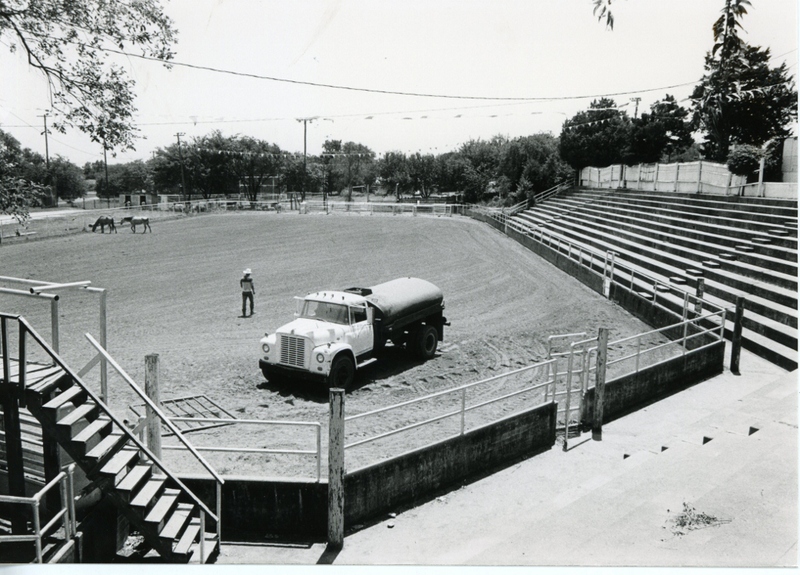 Other communities chose to build football stadiums with WPA labor, but Purcell elected to construct a rodeo arena and grandstand–one of the few so constructed in the state. WPA officials consented, an act demonstrating the flexibility of the agency’s guidelines. Construction also provided job opportunities for unemployed agriculture workers whose economic standing had vanished with the onset of the national depression. VERBAL BOUNDARY DESCRIPTION: Lots 1 and 2, 7 and 8, Block 36, Purcell original plat.